A concern about some potential event brings you to us. These include economic turmoil, political upheaval, attack from other countries, EMPs, CME (Coronal Mass Ejections from the Sun), and natural and man-made disasters. If you focus on the aftermath of any of these events, it can make you pretty anxious. Practical Preppers believes we should all focus on preparedness solutions and not the potential problems. Location: Population Density, proximity to Nuclear power plants, water sources, military bases, farms etc. Water System: Life sustaining potable and non potable water systems tailored to the needs of the retreat. Food: supply and storage. Long term and short term storage plans plus many strategies to resupply food. Grid Down Cooking: Creative ways to find, make and use renewable, recyclable energy sources to power the retreat. Energy, Heat, Fuel: Creative ways to find, make and use renewable, recyclable energy sources to power, heat and cool the retreat. Communications: Developing multiple plans of communication with those on the retreat and ways to gather information from short and long distances. Barter: Making suggestions on what items could be valuable in a crisis situation. Medical: Technical information concerning medications and alternative healing methods. Networking: Linking people together who are like minded and geographically juxtaposed. Security: Customized security plans for your retreat and surrounding community. We are preppers. We know about the different scenarios that prompt many to get into preparedness. However, our motivation is not fear-based. We enjoy the sense of security that comes with self-sufficiency. This isn't about getting by or just surviving. This is about building a good wholesome life for you and your family. We practice what we preach! What is your Primary Water Source? Alternative water sources in close proximity of house or retreat location. Please include the distances of the alternative water sources from your area. 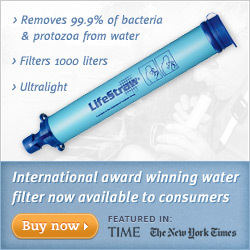 What do you have to purify/disinfect alternative water sources? If the grid goes down how will you get your water to your home (what method/pump)? How many gallons of water do you have stored presently? How much food do you have per person in months based on 2200 calories per day if you could not resupply your group? What do you have to augment your stored food for your group? Do you have heirloom or non hybrid seeds put back and how much of each? How much wood do you have stored? How much propane do you have stored? If yes, specify watt output. List items you are stocking as a alternative form of commerce. Ex) Gold, silver, ammunition, common household items, etc. Do you have a basic first aid kit? Other than the basic first aid kit do you have anything else medically that would be vital to have in an emergency where you are the only medical provider? Are you on any life sustaining medications that are necessary to sustain life? Are you at an acceptable fitness level to handle the stresses of a crisis situation? Do you have a Bug out location(BOL)? How far from home base? Do you have a bug out vehicle? Explain what makes it a bug out vehicle. Do you have a group of people you can count on? How will you handle situations when people come to you and your location for charity or for harm? Have you done anything to enhance your security at your home or retreat to make it more easily to protect and defend? Do you have the necessary items to provide for your own protection when there is no outside help? What level of firearms or tactical training have you received? Do you have a library of self help or how to manuals that will help you deal with a emergency situation? Do you have any special training or experience that you think would help you in a emergency that you think we are facing? Where you ever in any of the armed services? How long were you in the service? What was your military occupational skill while serving? Do you have any other skill set beneficial to prepping? Electrician, Plumber, Seamstress, Doctor, etc. Practical Preppers, LLC is a survival and preparedness consultative company that sells products and services for those interested in advancing their skills and resources. Practical Preppers, Scott Hunt, or any of its affiliates provide these resources as is and under the protection of copyright. The website has been produced and is maintained by Rapptor Studios. Copyright 2015.